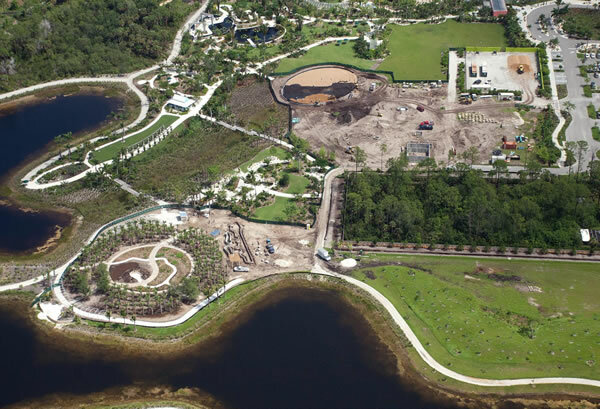 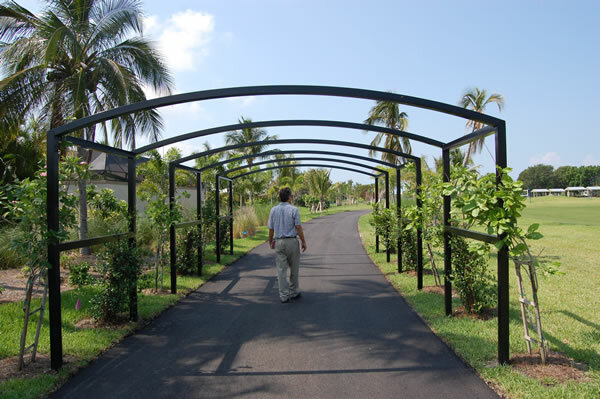 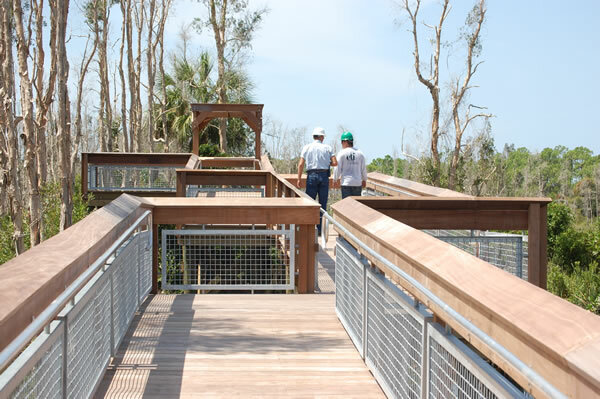 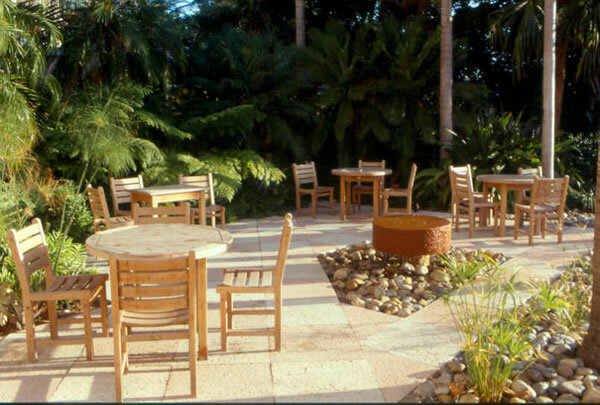 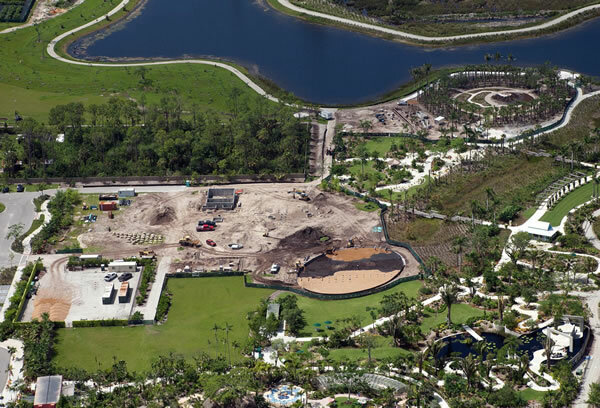 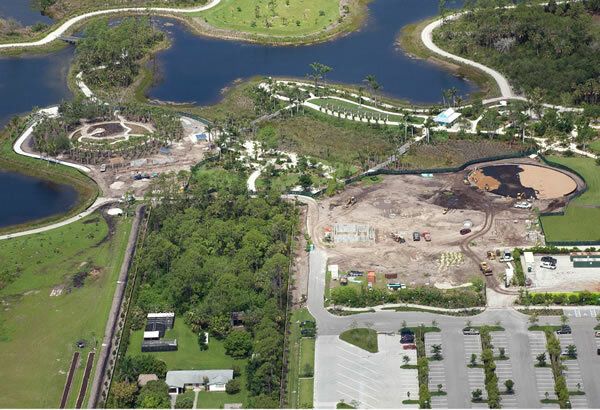 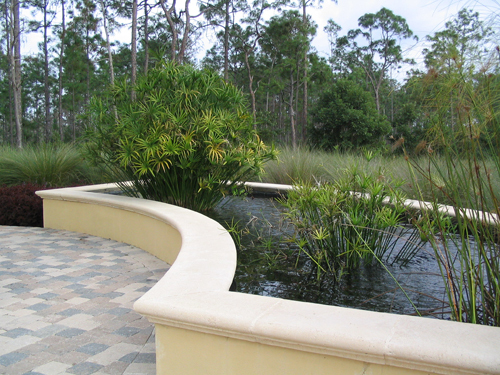 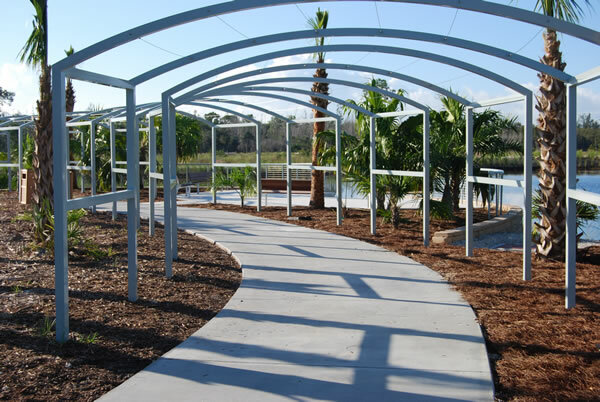 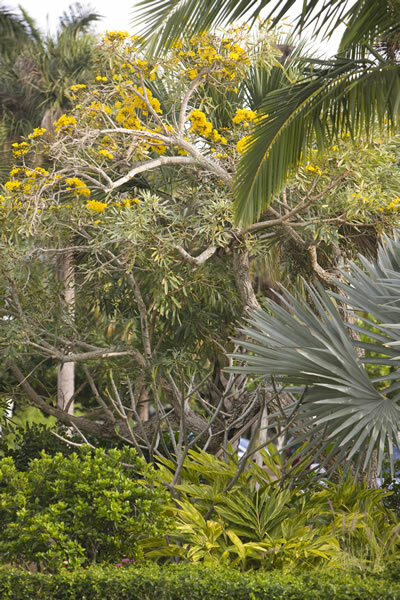 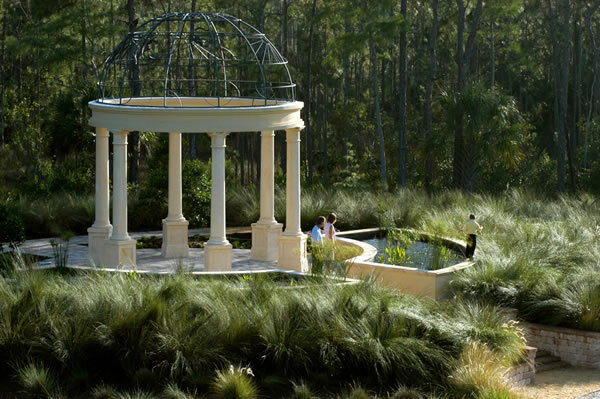 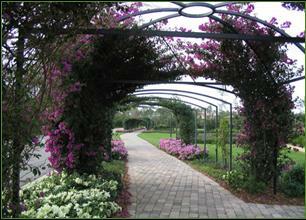 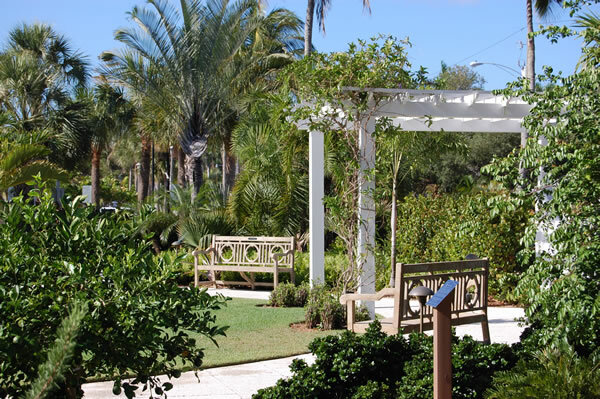 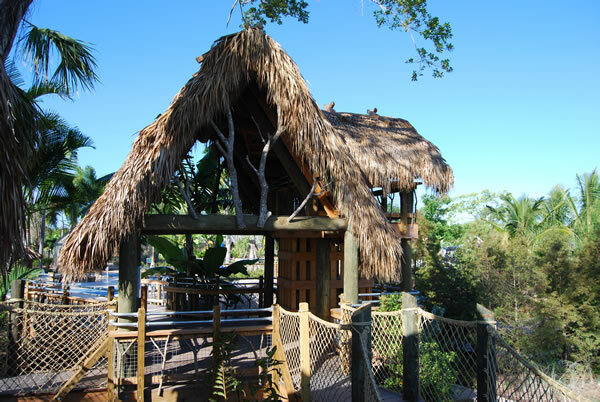 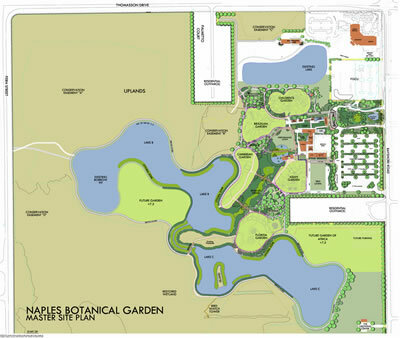 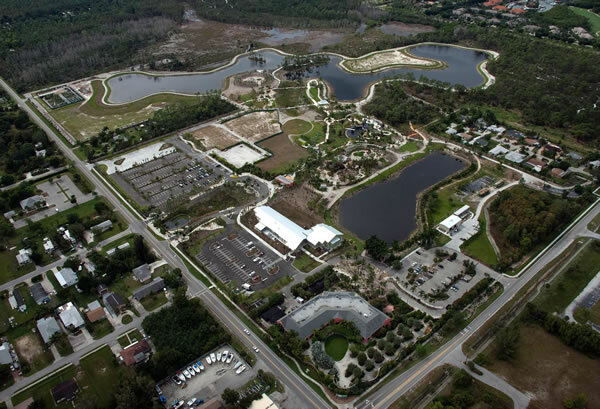 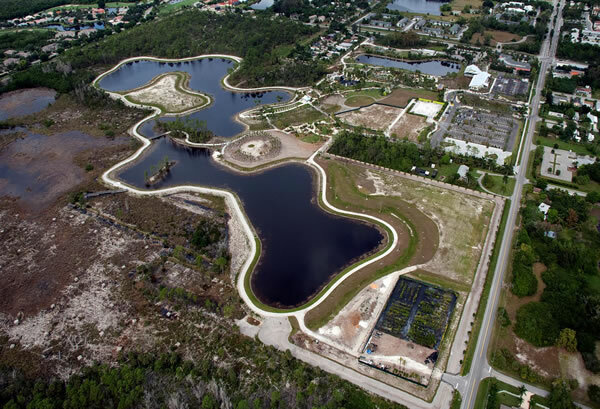 The Naples Botanical Garden has completed a huge expansion, increasing its developed areas many times over. 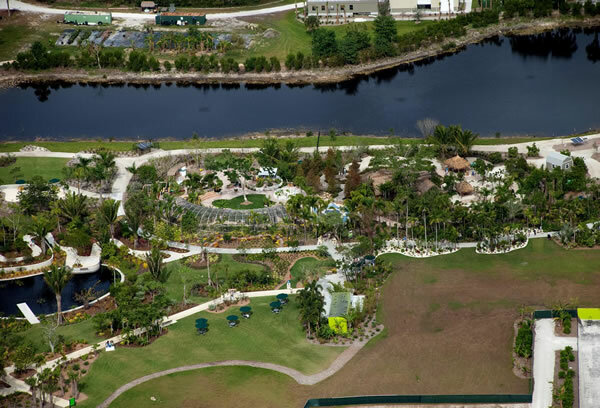 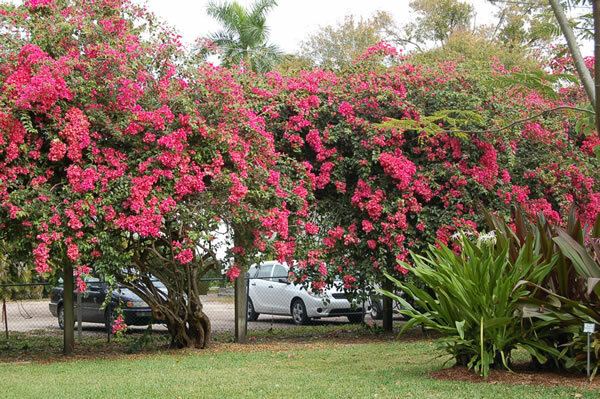 The Garden features several gardens representing areas of the world with similar climates, including the Brazilian Garden, Caribbean Garden, Asian Garden, Florida Garden, and a Children’s Garden, as well as lake and preserve areas. 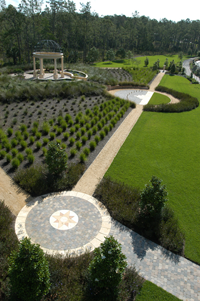 Ellin Goetz, as Site Landscape Architect, performs an instrumental role in the site design as the common areas of the Garden develop. 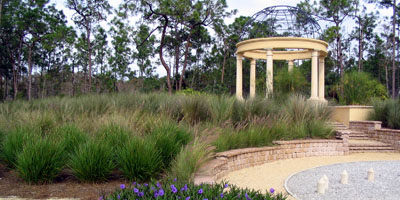 Additionally, Goetz+Stropes designed the Florida Garden and Water Garden, and collaborated with Herb Schall of EDAW in the construction of the Children's Garden. 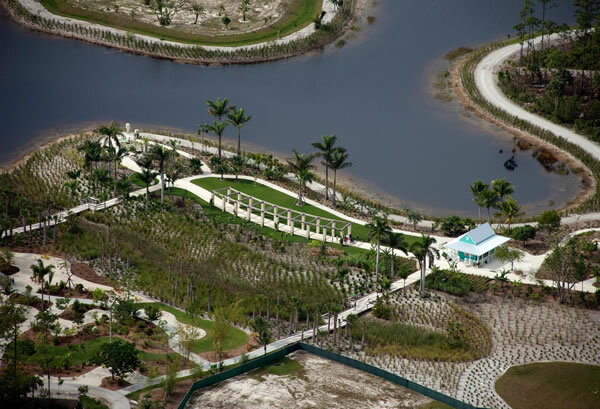 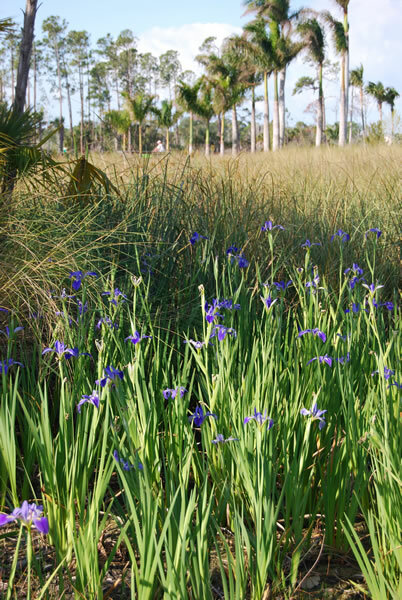 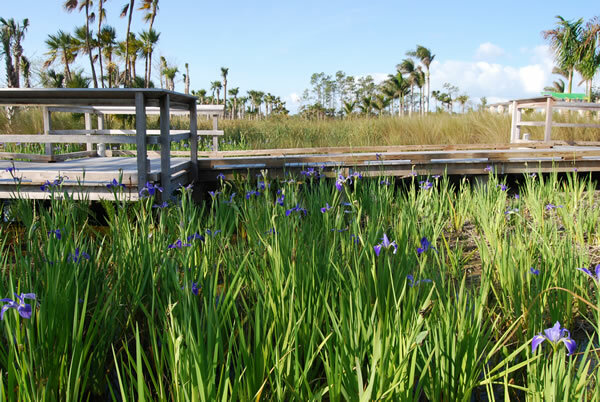 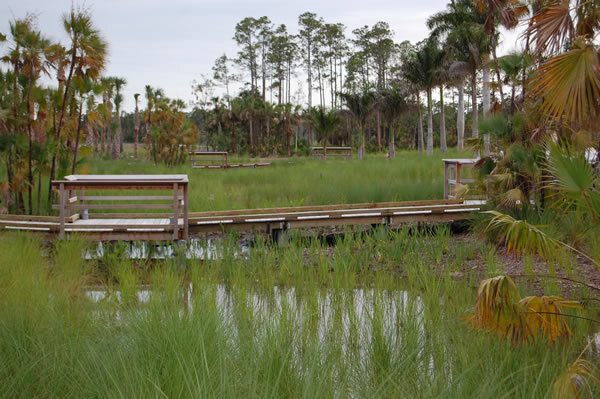 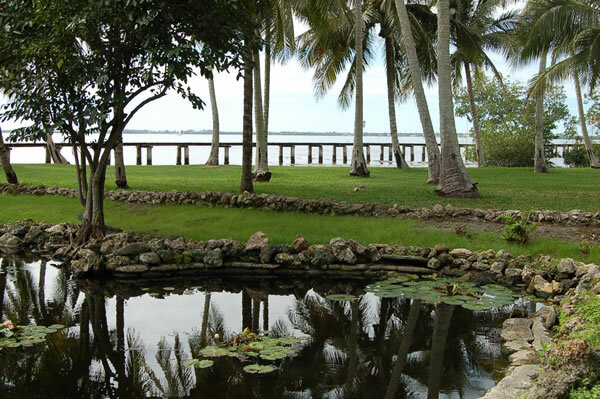 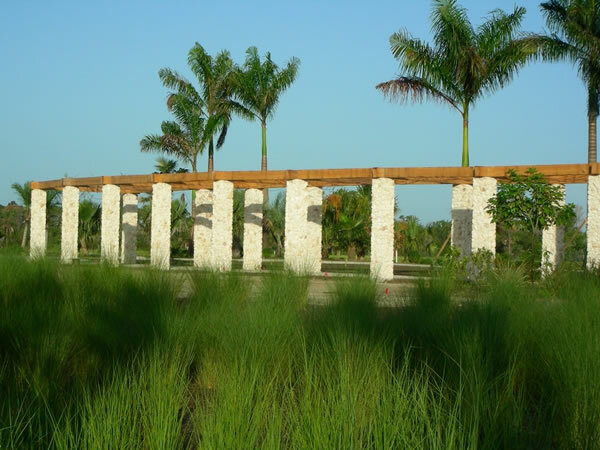 The River of Grass serves as the backbone of the Garden’s structure, echoing the vast expanses of the nearby Everglades, and enabling vistas to the lakes and preserve areas. 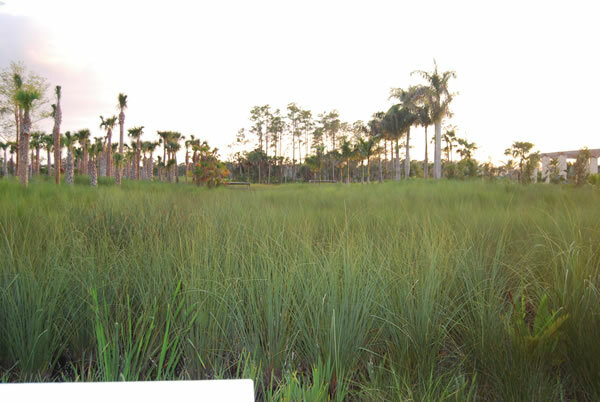 The River of Grass echoes the filtration aspect of the Everglades, purifying runoff and proving animal habitat. 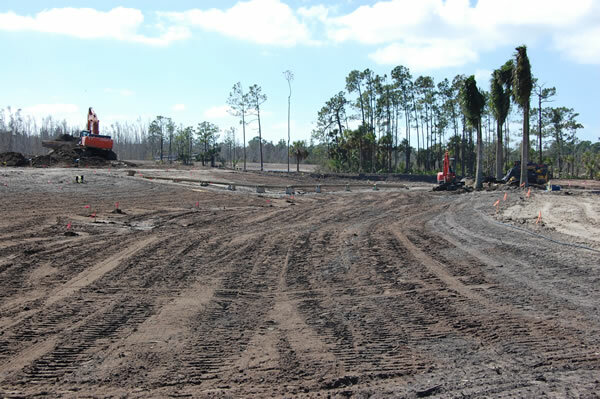 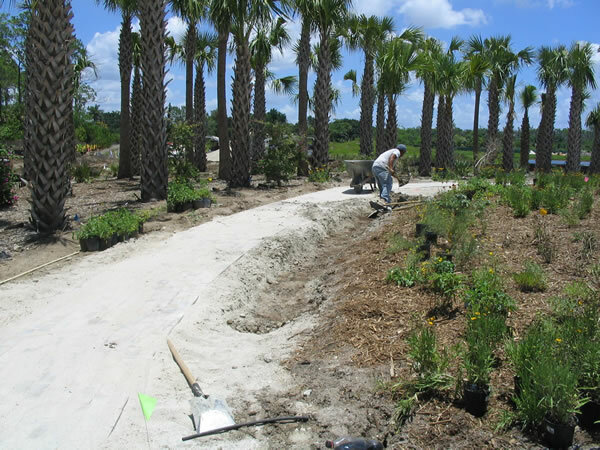 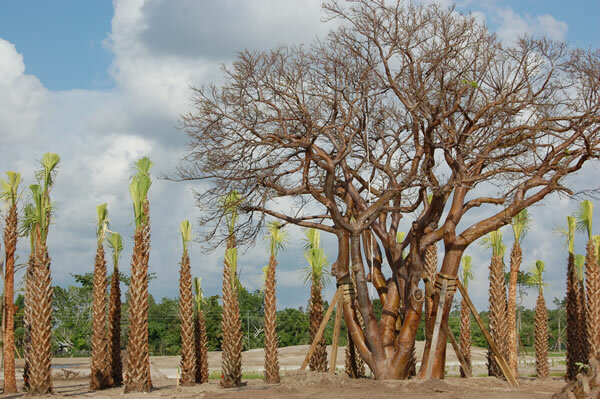 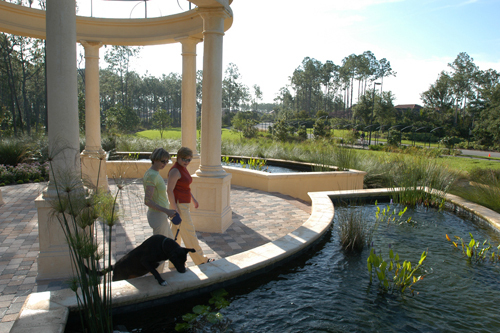 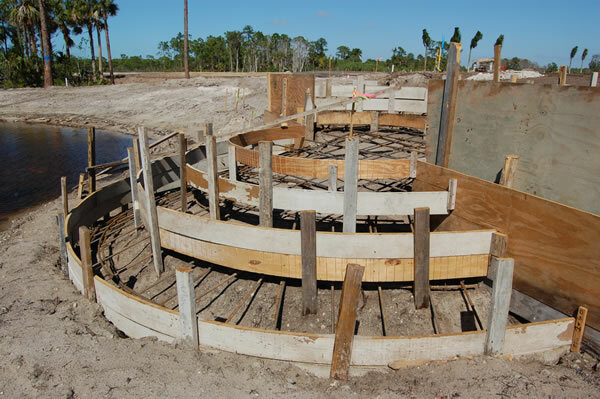 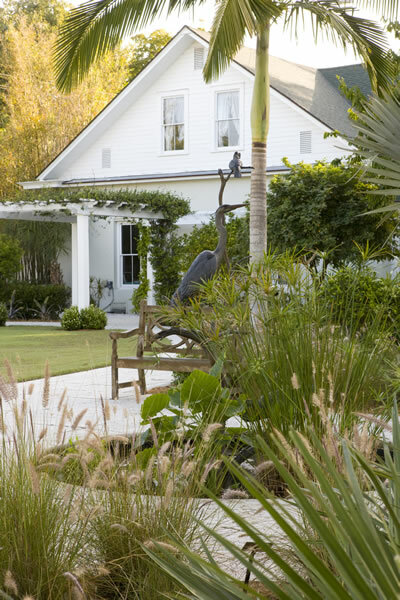 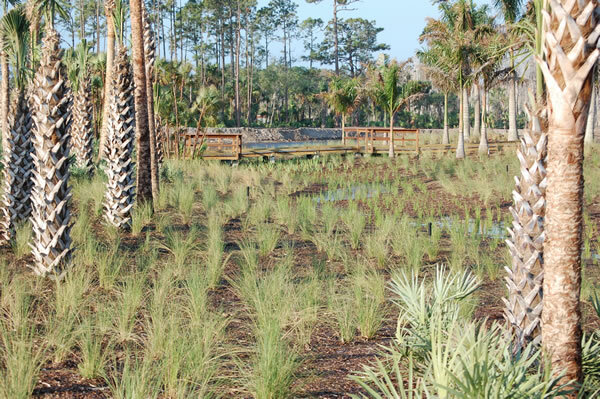 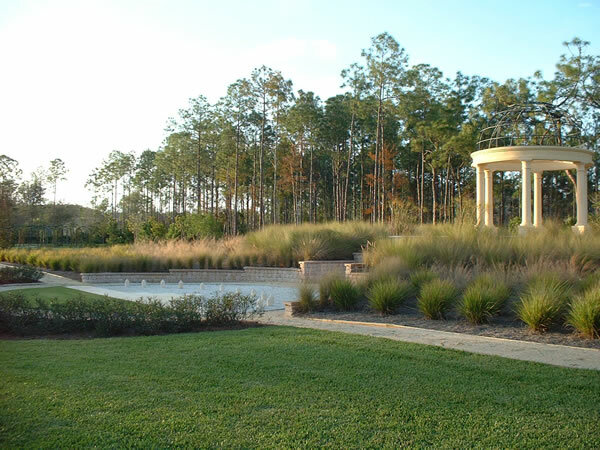 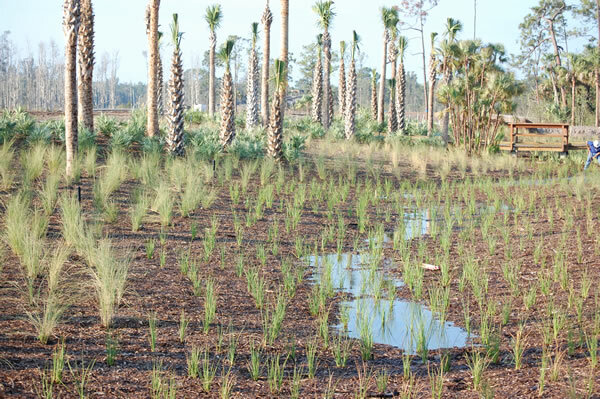 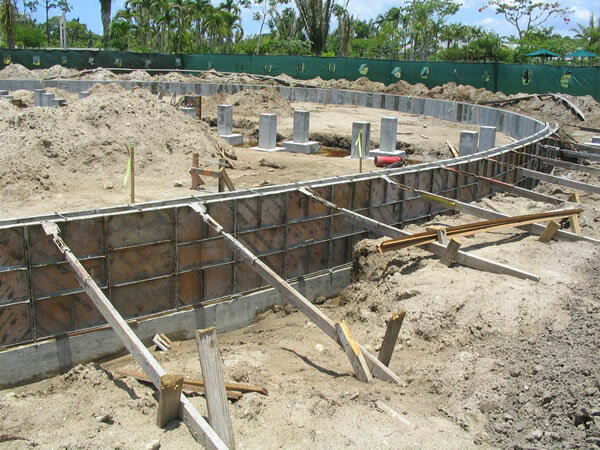 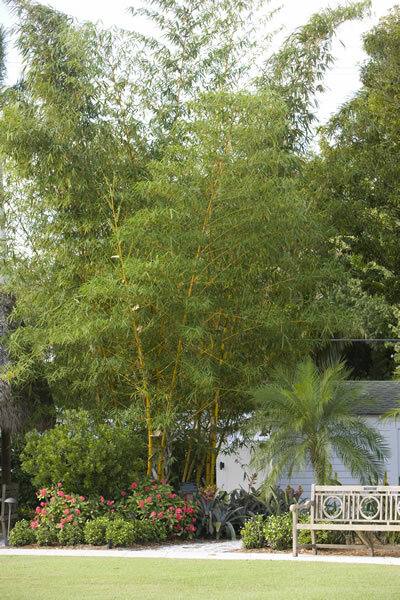 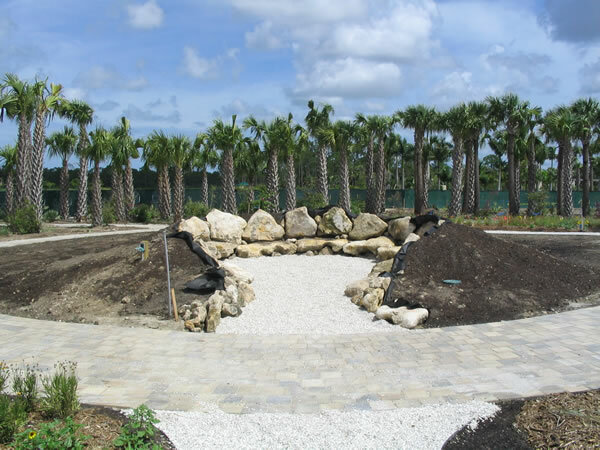 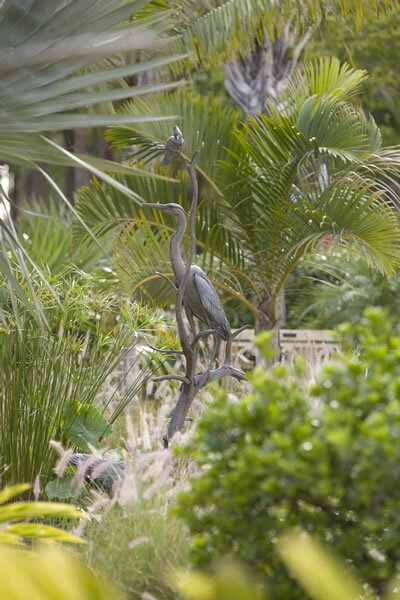 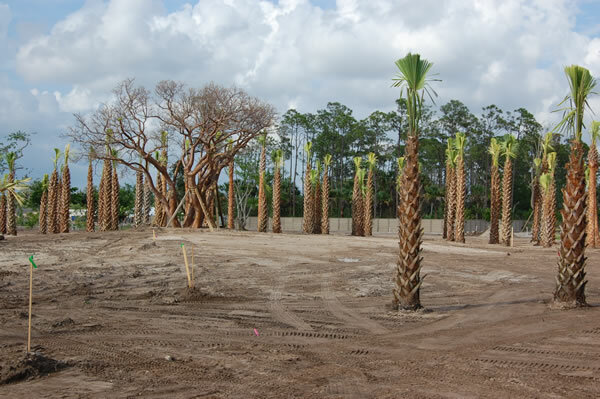 The Florida Garden, now under construction, displays many aspects of the regional landscape, and provides opportunities for interaction with natural elements common to this environment. 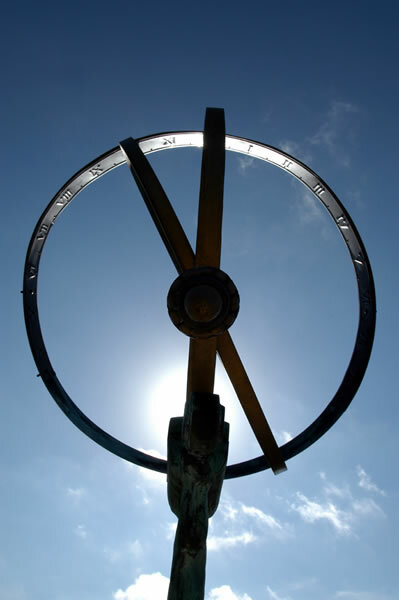 The Sunclock - stand within the sunclock and read the time from your sun shadow! 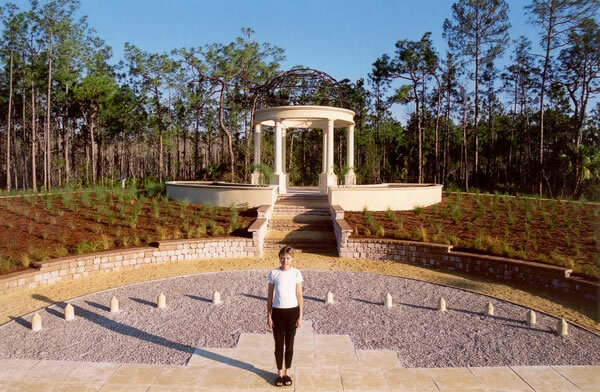 The first of six planned neighborhood parks within this new community features an array of astrological elements with historic roots borrowed from European traditions. 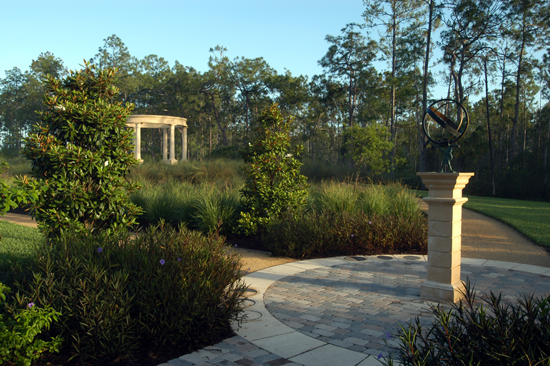 Visitors experience the effect of time by observing light and shadow, stars and planets, and seasonal changes in the landscape. 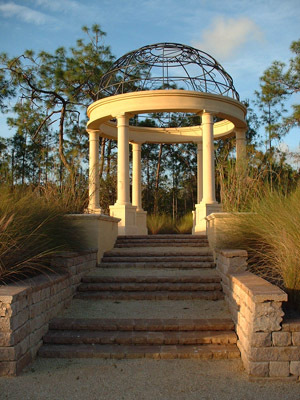 The Stargazing Pavilion sits atop a knoll overlooking a wetland preserve. 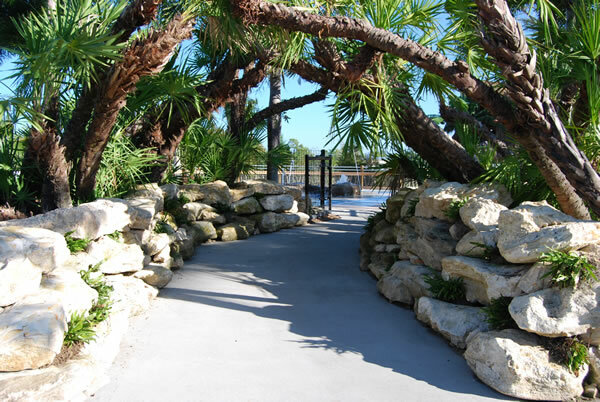 By night, it transforms into an ideal site for exploring the night sky via telescope. 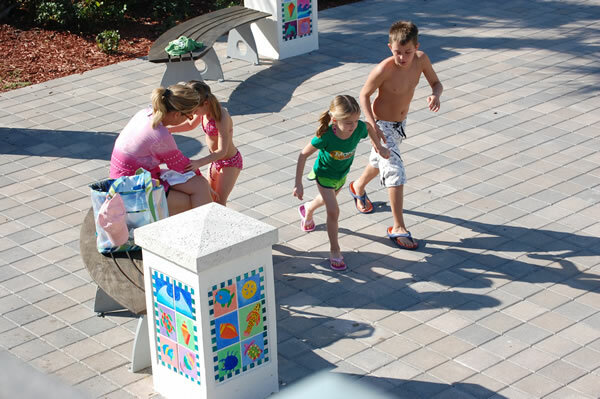 A Sun Clock measures time by the cast of a user’s shadow. 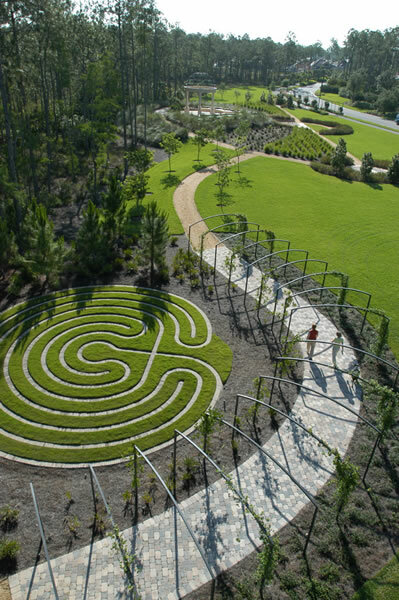 The Labyrinth is an ancient form of walking meditation. 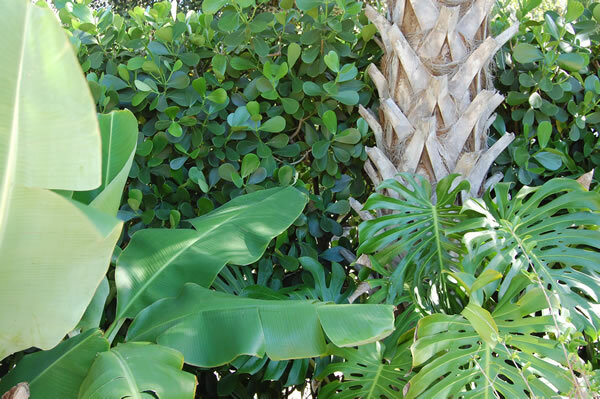 Plant materials also reflect the effect of light and of seasonal change. The intent of the entire site is a reconnection with nature and the planetary influences in our lives. 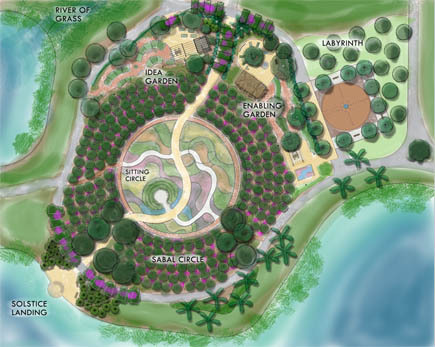 SCOPE: Site planning; concept and hardscape design; water gardens, planting and grading design. 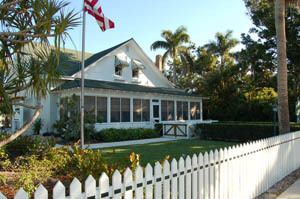 The 1895 Palm Cottage sits in the historic heart of downtown Naples near the popular City Pier and is a house museum and headquarters for the not for profit Naples Historical Society. 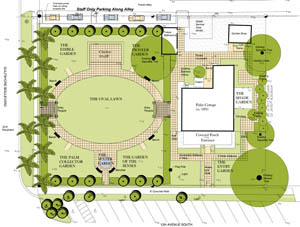 In 2004 the Society purchased the adjacent vacant lot to protect the vanishing historic streetscape with the intent to develop gardens complimenting the historic home. 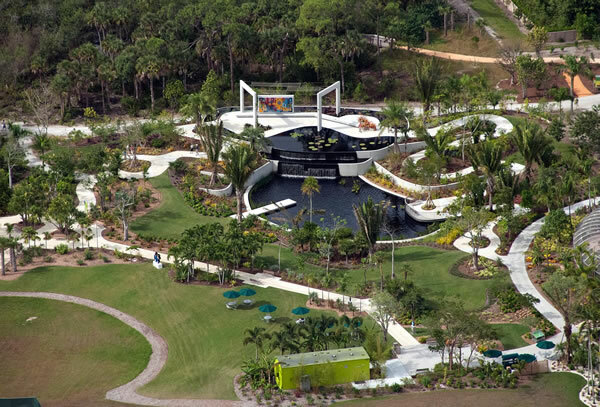 GOETZ+STROPES developed a master plan for the site providing flexible space for society functions amongst a series of gardens. 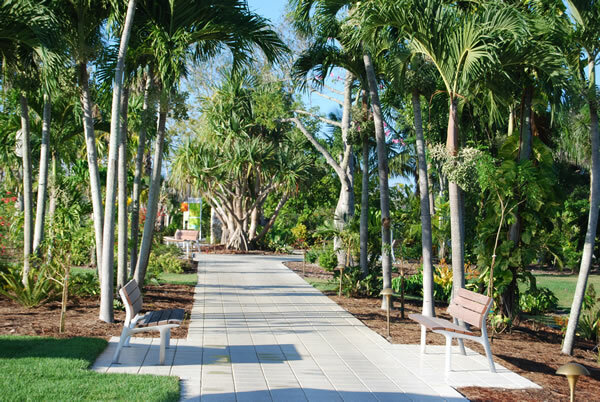 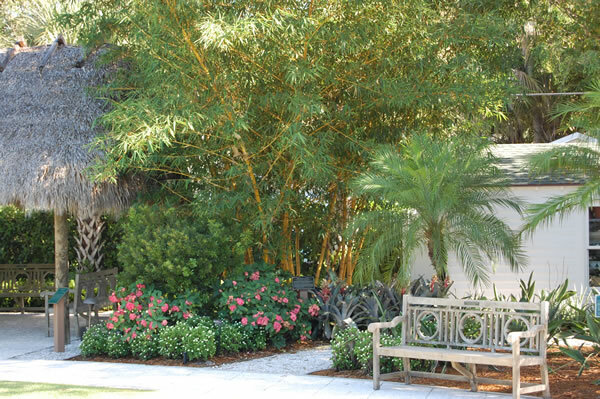 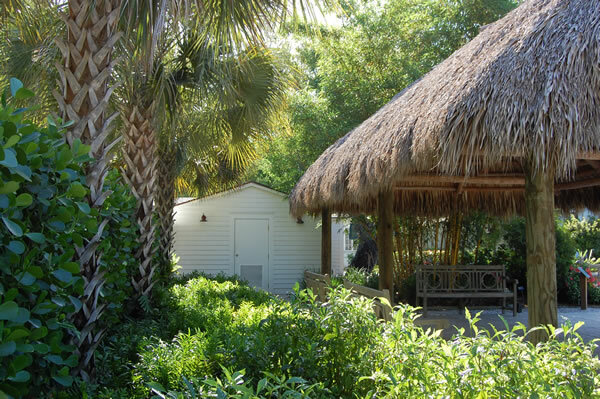 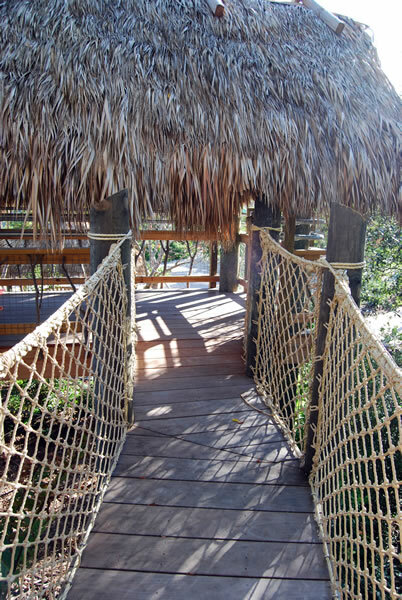 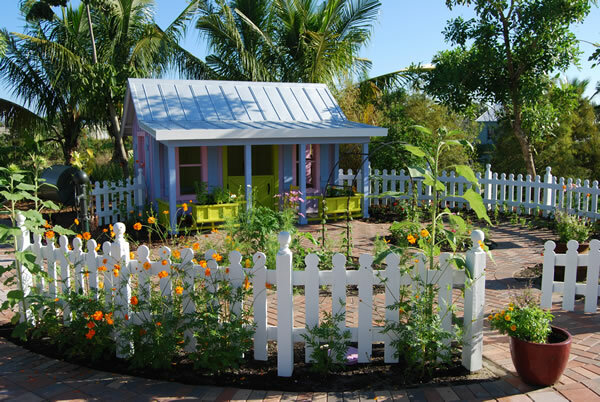 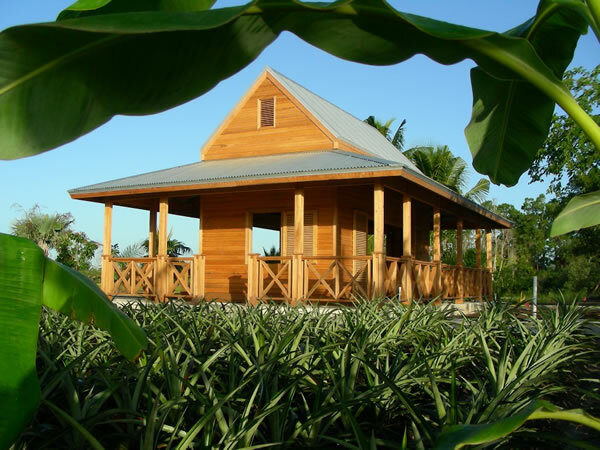 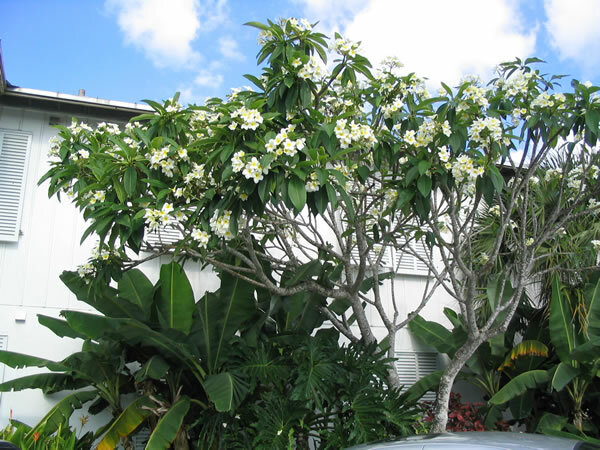 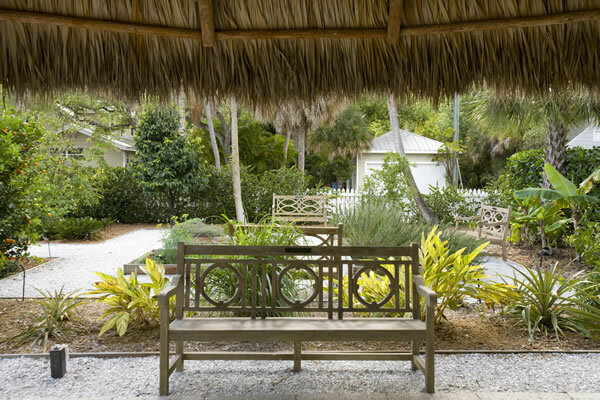 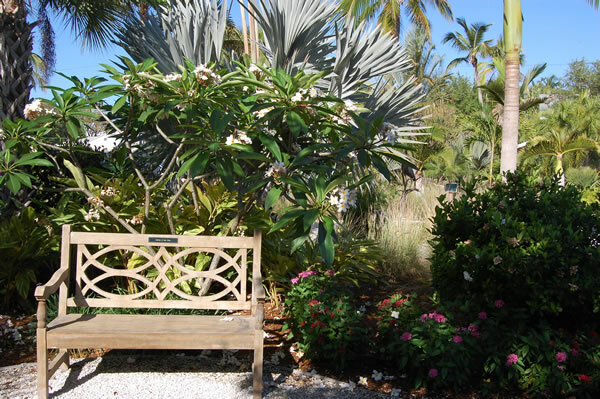 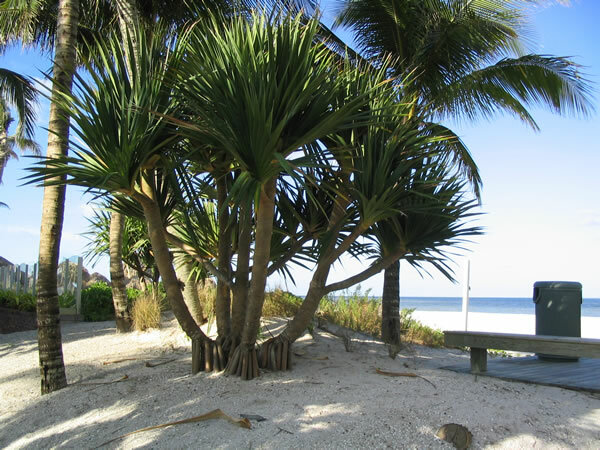 The areas are themed to represent cultural practices of the turn of the century in South Florida: palm collecting, edible plants, and gardens typical of early pioneering families. 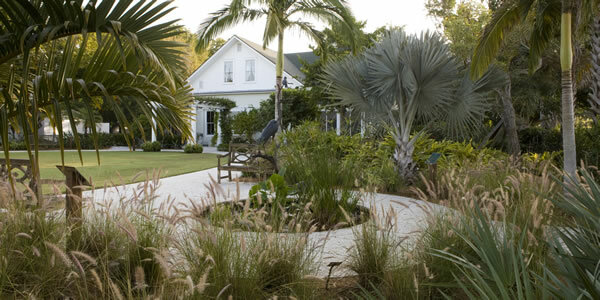 The Garden of the Senses will explore some of the fragrant and tactile plants grown in this climate, and the Shade Garden will display varieties of ferns, orchids and bromeliads. 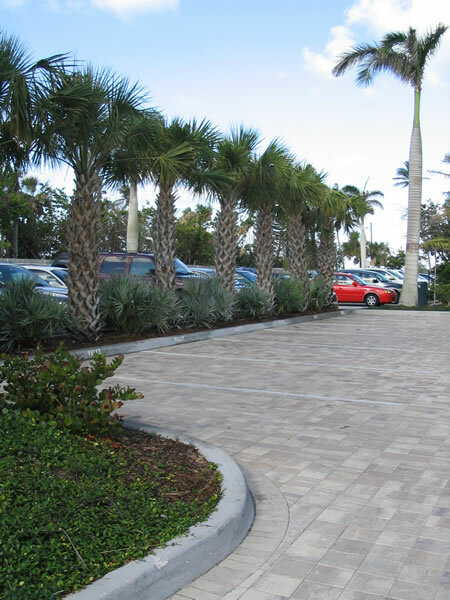 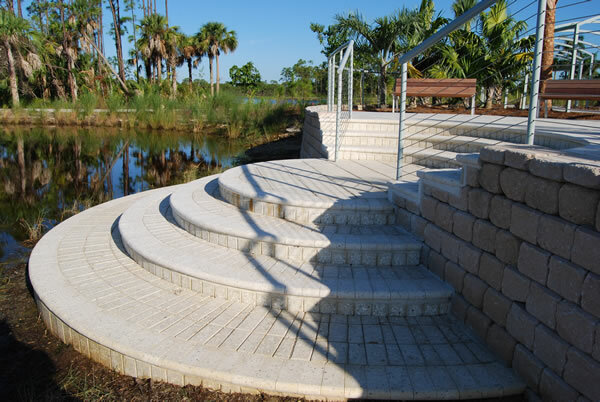 Walkways are surfaced in Tabby Shell pavers, indigenous material used during the period, and a Seminole chickee provides shaded cover. 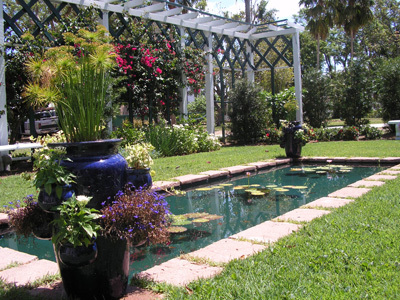 A simple water garden features tropical water lilies and bog plants. 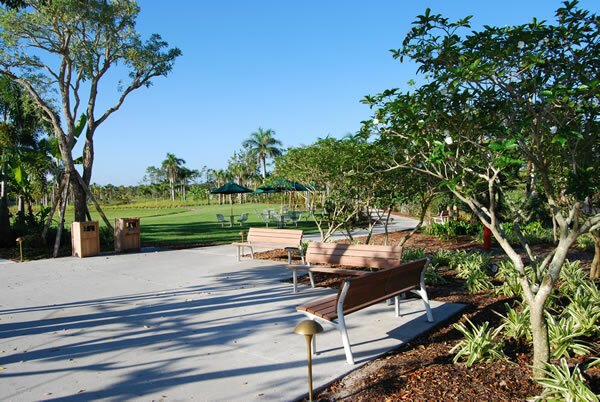 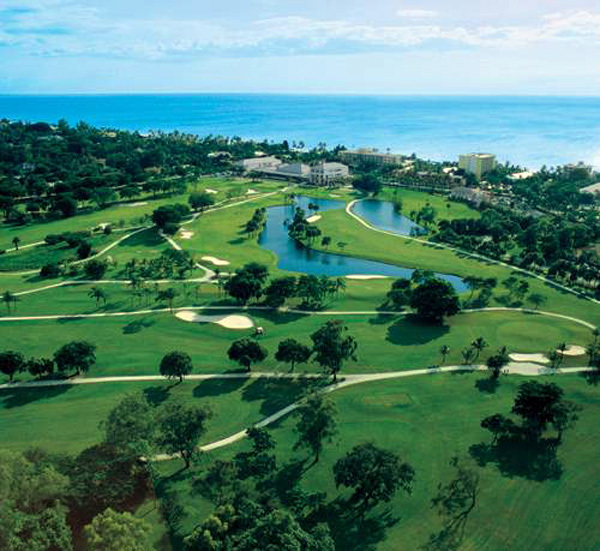 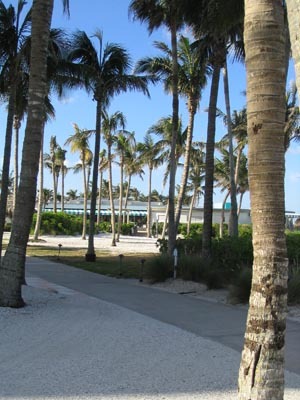 Ellin Goetz has provided the overall landscape and site design for the revitalization of the resort since 1988, including Site planning for clubhouse, tennis center, new resort pool area, and golf course. 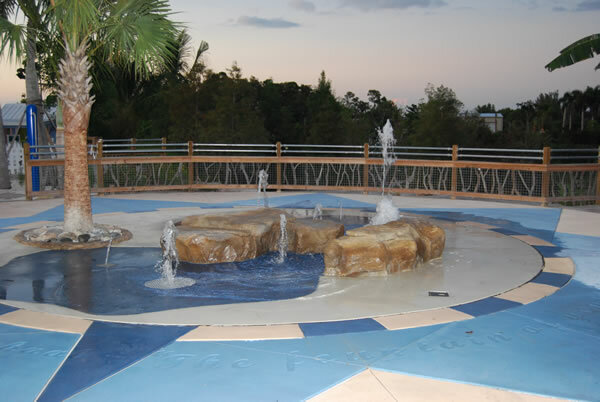 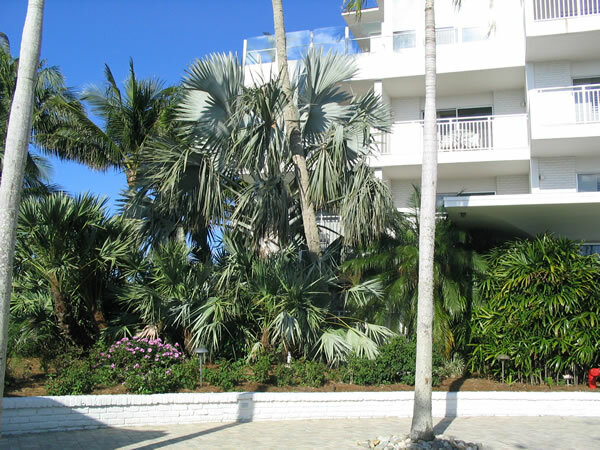 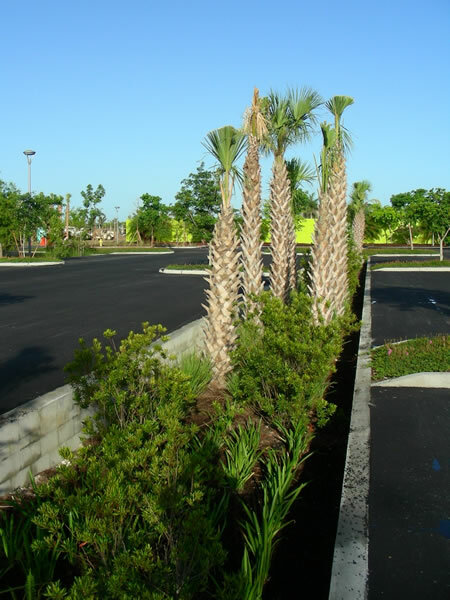 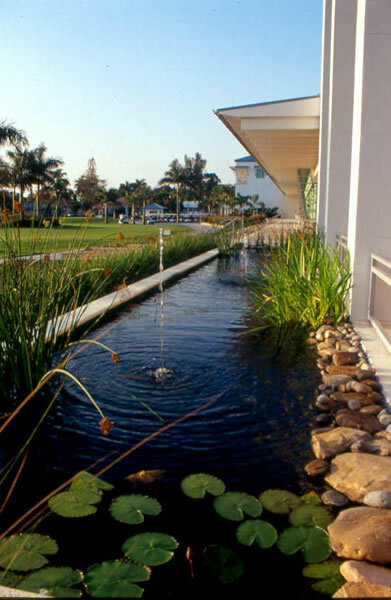 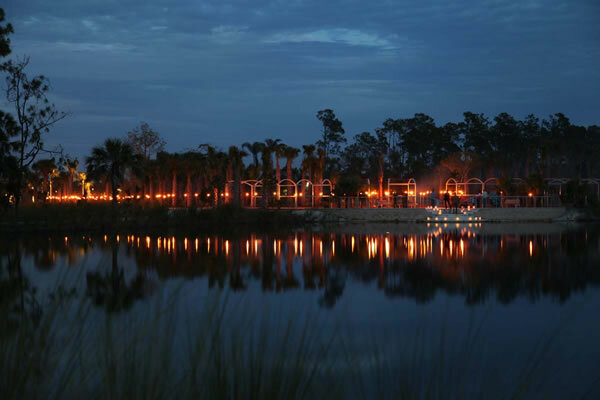 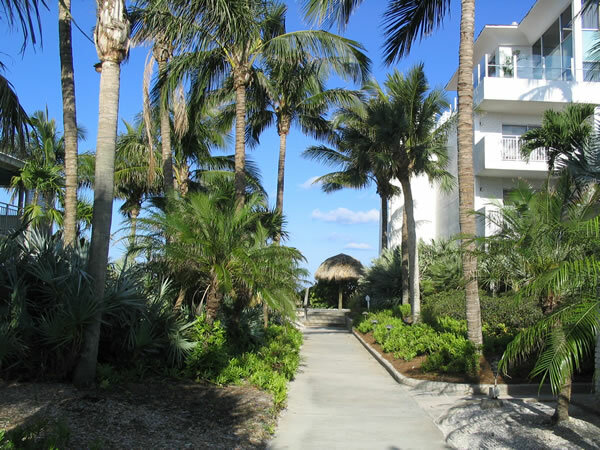 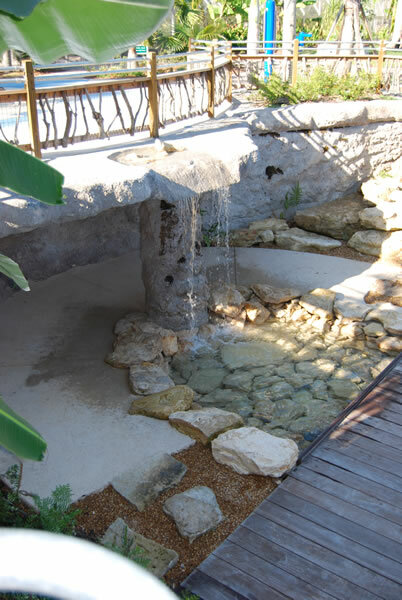 Facets of the design efforts include Theme Development, Hardscape and Outdoor Structure design, Tropical/Beach and Native Planting design, Landscape Lighting, Irrigation, Grading, Water Feature and Resort Pool design . 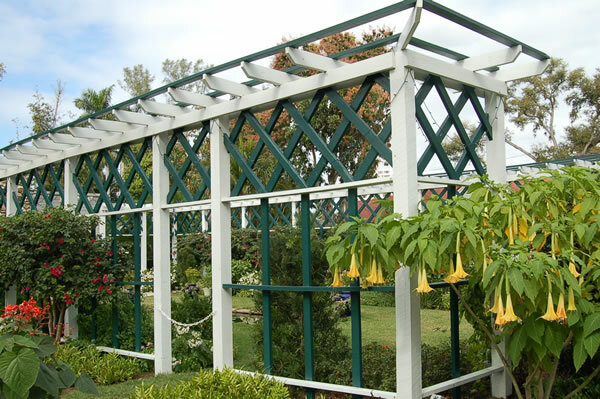 Owned and operated by the Watkins family since 1948, this landmark has been updated in recent years to reflect market changes. 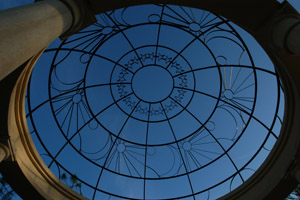 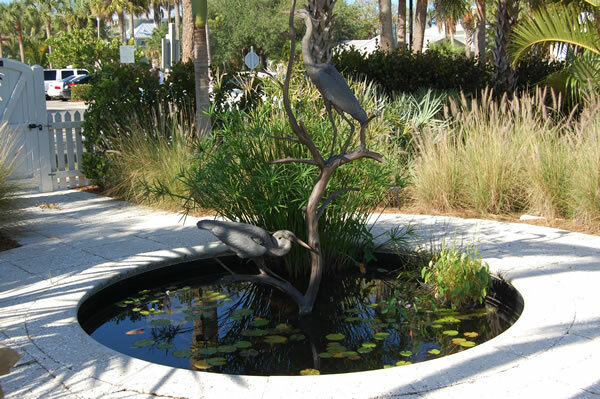 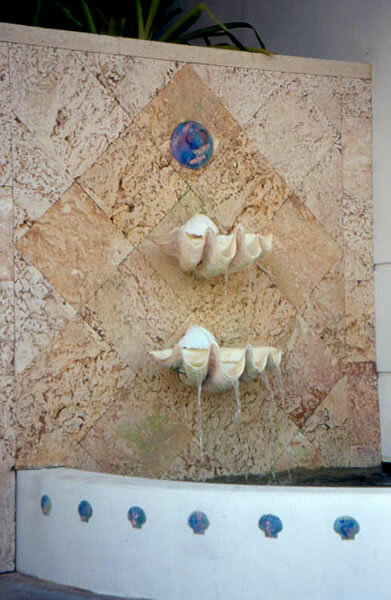 Every design element reflects the SW FLorida coastal environment, imagery that is even brought into interior spaces. 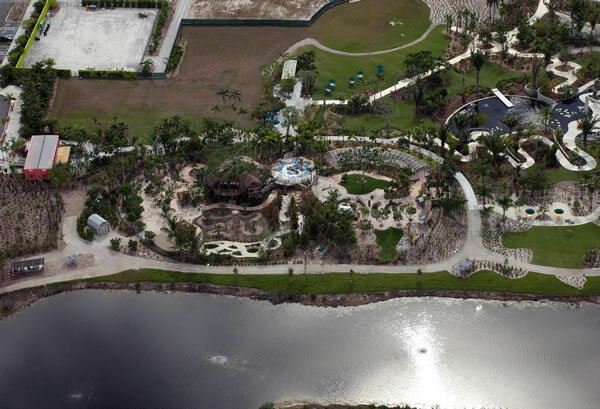 This 14 acre estate located along the Caloosehatchee River once owned by Thomas and Mina Edison and Henry Ford is now a Florida Heritage Landmark owned and operated by the City of Fort Myers. 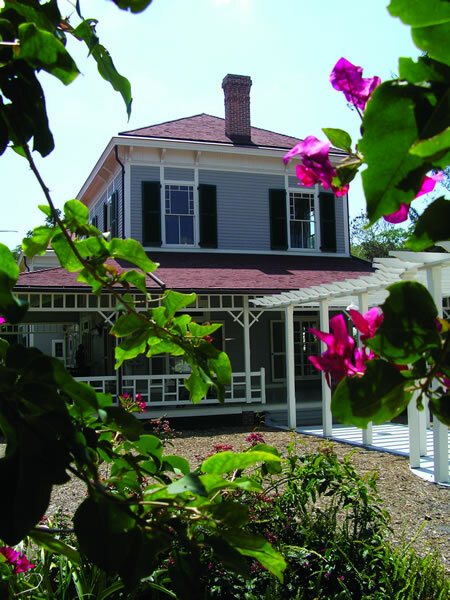 Both homes underwent a $13 million restoration in 2005, and the site includes Edison’s laboratory, a museum, gift shop, and café. 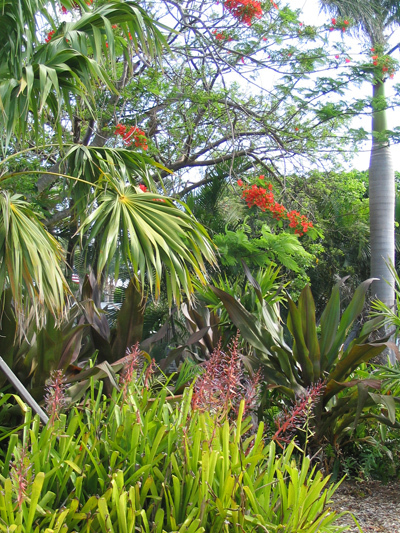 Edison planted more than 500 unique species as part of his continuing efforts to further his experiments and inventions. 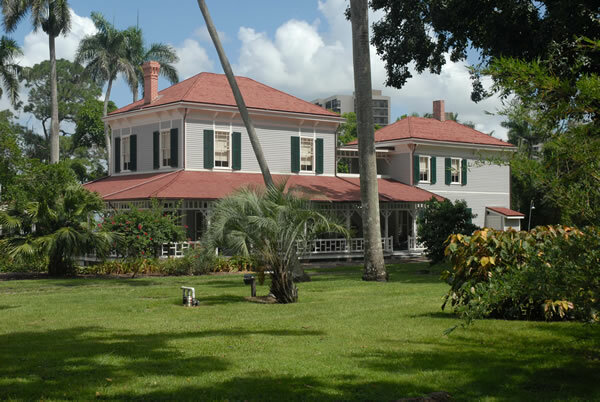 A master plan was developed to protect, preserve and interpret the original historic site while establishing an educational center to honor the innovative spirit of both Edison and Ford. 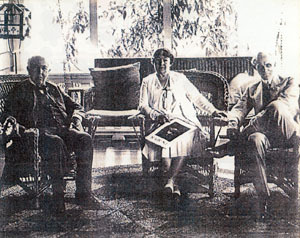 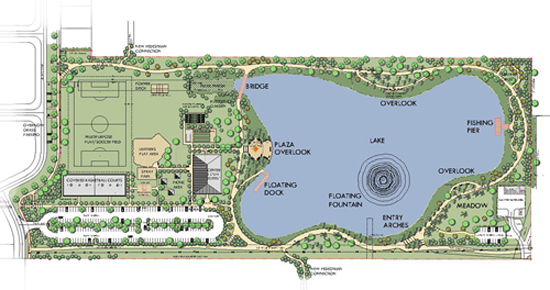 The plan will guide a phased restoration of both architectural and landscape elements once enjoyed by the families. 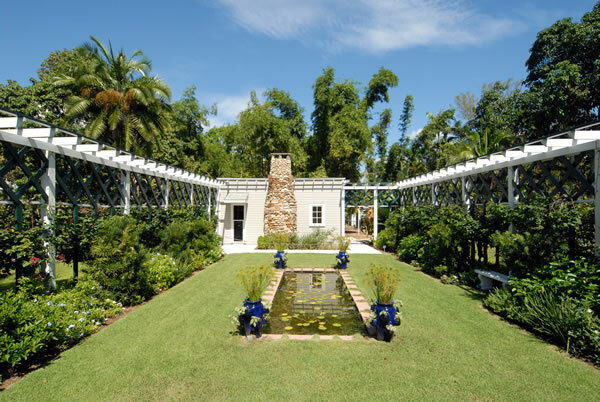 This includes The Family Garden, where vegetables, fruit and cutting flowers were grown for the family’s local use and shipped north to their residence in New Jersey. 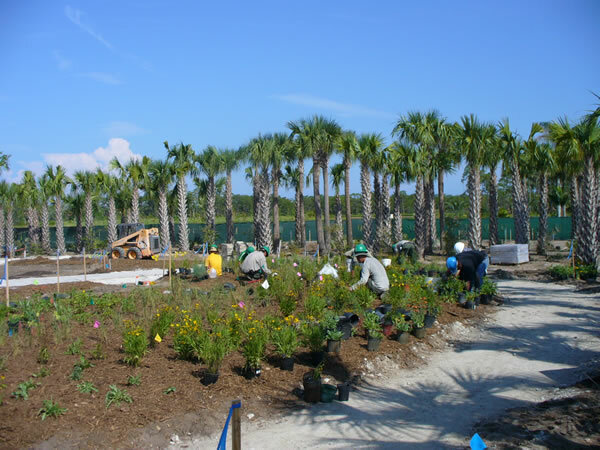 A large Research Garden supported the experimentation with plants used to make rubber and will allow visitor interpretation of Edison’s work. 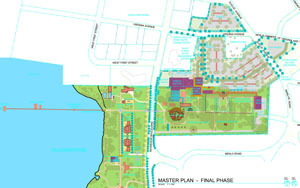 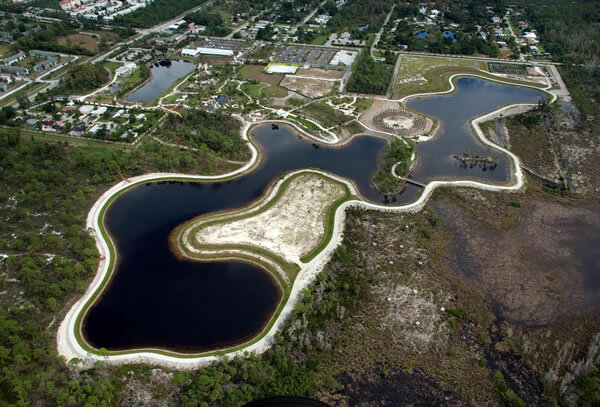 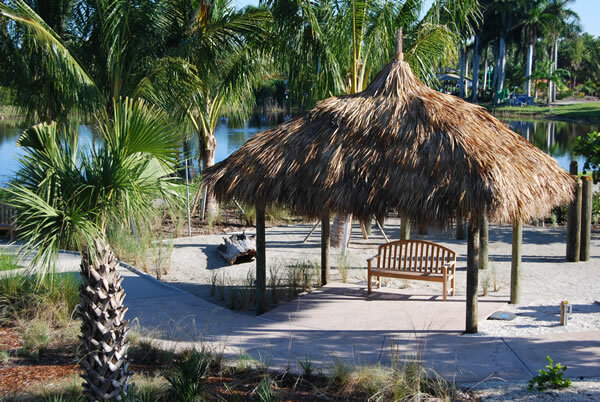 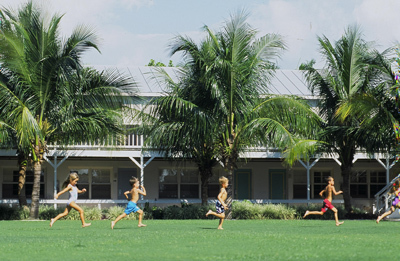 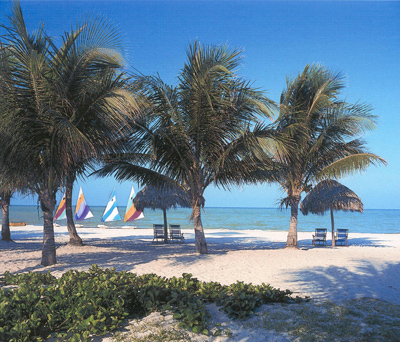 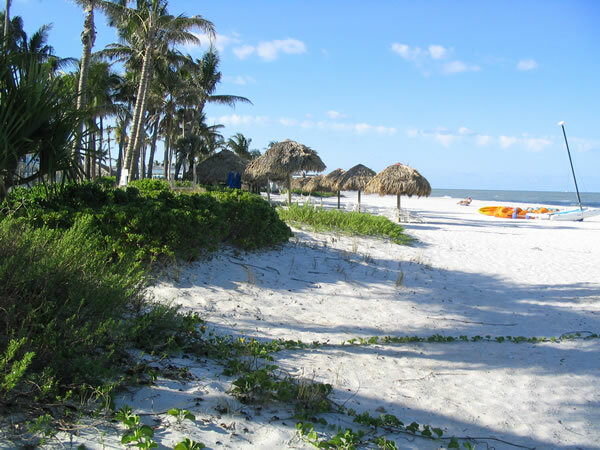 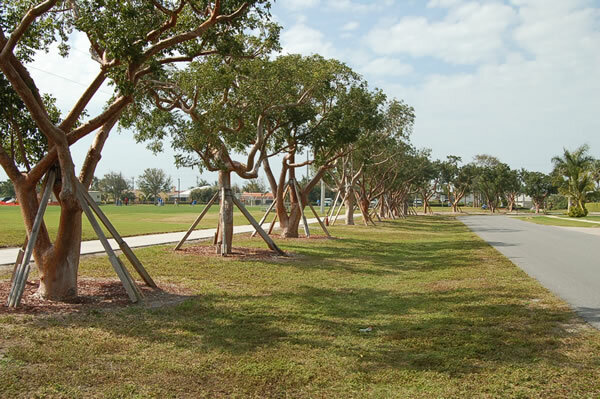 Master planning for Mackle Park, a central thirty acre public space on Marco Island. 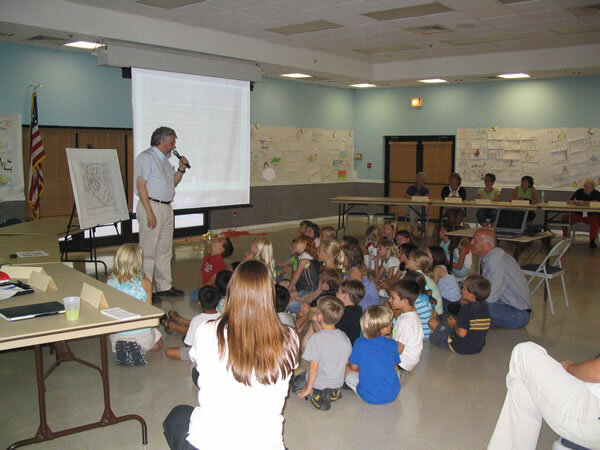 Goetz+Stropes led a public participation process to develop a long range planning tool over 18 months beginning in June 2003 . 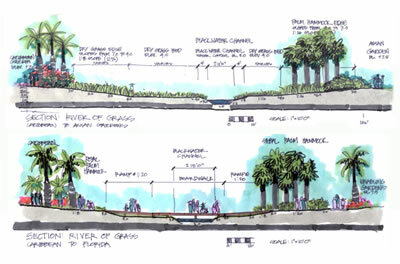 Work included documentation of existing conditions, development of two alternative designs, presentations to the Planning Board and Marco Island City Council in PowerPoint, meetings with neighborhood and community groups, and the production of a final master plan with budget and phasing recommendations. 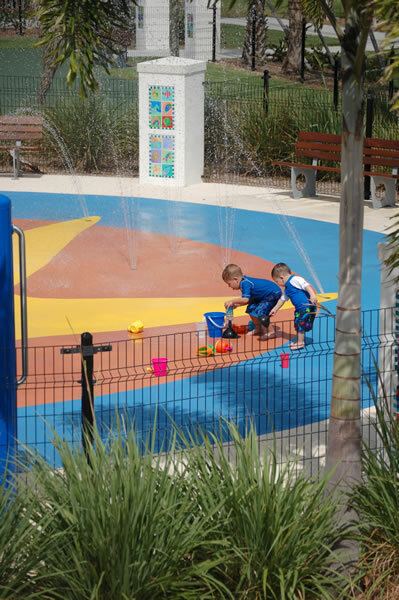 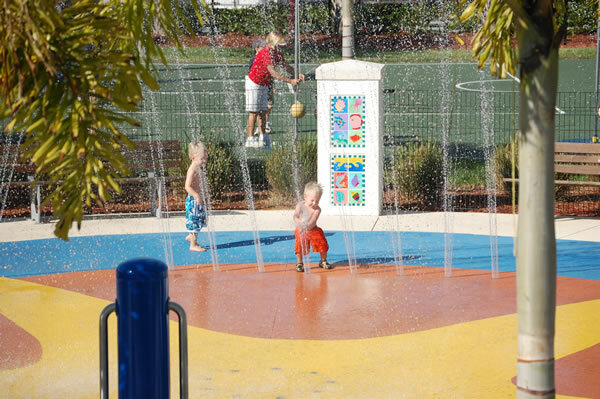 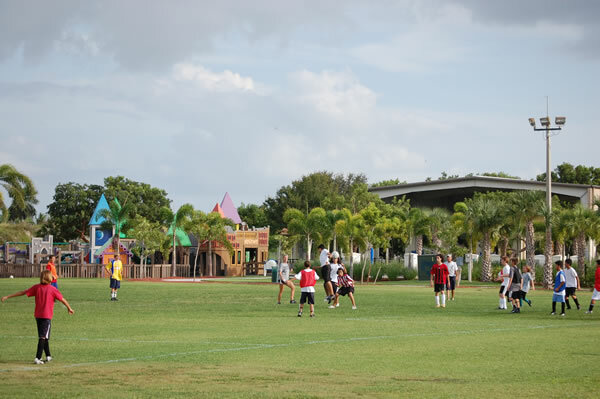 Phased construction began in 2004, and has included the completion of a Water Spray park and accompanying mini-basketball court, reclaimation of retention/drainage land, renovation of play fields and outdoor structures, and site-wide landscape, hardscape, irrigation and lighting improvements. 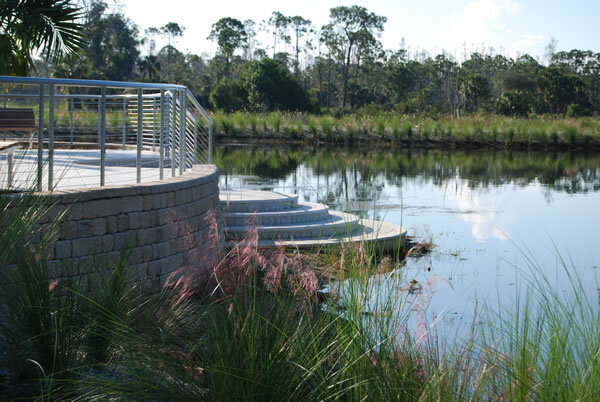 Goetz+Stropes has served as lead consultant/Landscape Architect, with Walker Kleusing Design Group of Boston, BSSW Architects Inc., and Coastal Engineering Consultants of Naples completing the Master Planning team.